Compression Springs, Extension Springs and Torsion springs are all manufactured here at TSL Turton,with the capability to both cold coil and hot coil springs our production range is extensive. 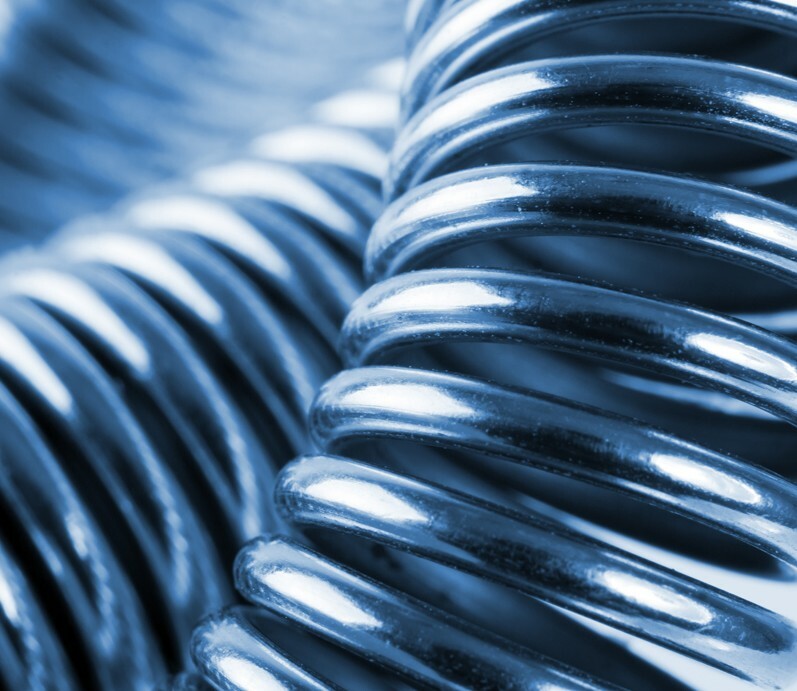 Springs from wire sizes up to 19mm diameter are produced in our cold coiling department, typically from annealed alloy steels such as Chrome Vanadium or Silicone Chrome. Other grades available include pre hardened carbon steels as well as more exotic high nickel alloys such as Inconel X750, Nimonic 90 and Elgiloy. With the option of semi-automatic mandrel coiling machines to fully automatic finger coiling we are able to produce any batch size from one off samples to large volume runs. 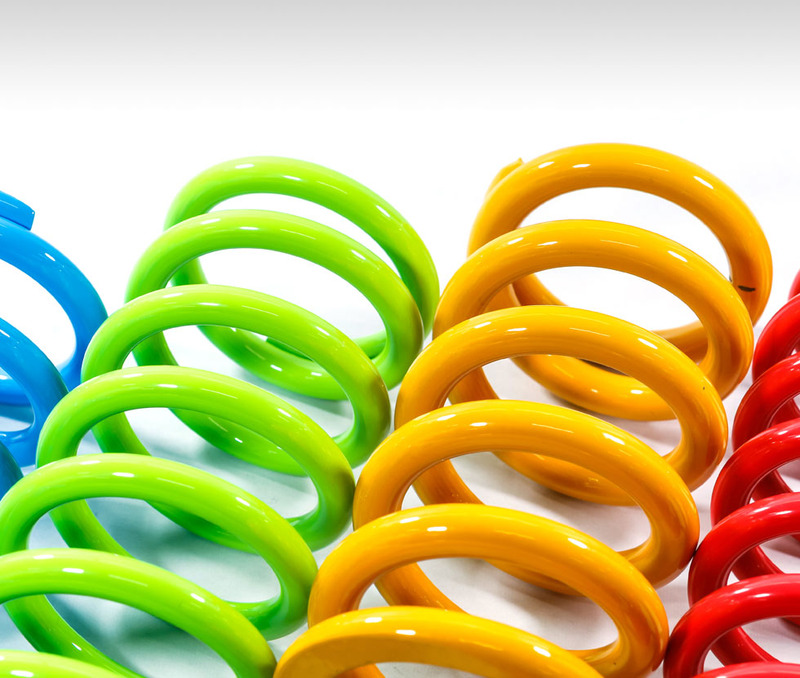 We can offer a variety of spring end types, from the most common closed and ground square ends, to other forms such as reduced or “pigtailed” ends as seen on automotive suspension springs. In addition to standard round or square wires we can also offer tapered section material. Barrel or “minbloc” springs from tapered bar are a speciality of TSL. 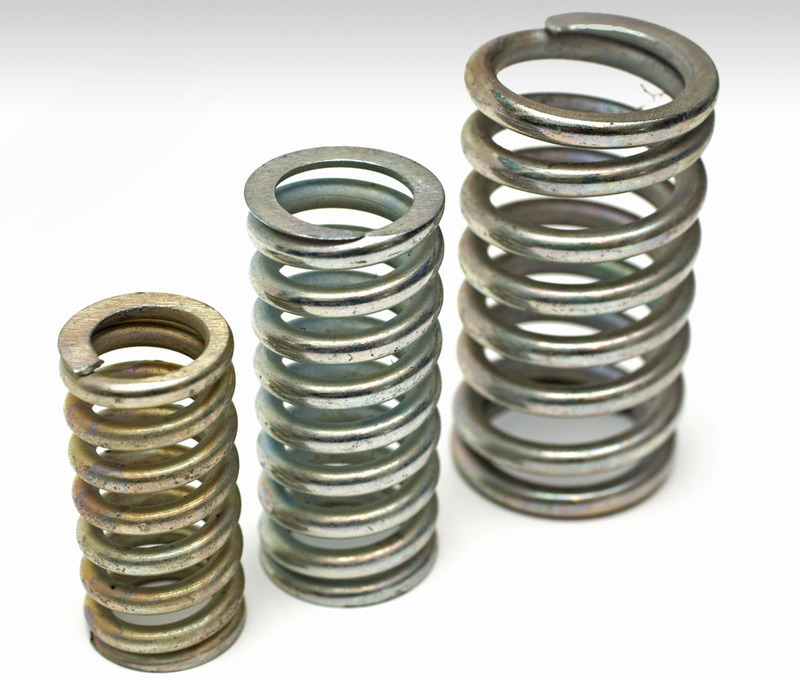 Springs from wire sizes 19mm up to 100mm diameter are produced in our Hot Coiling Department. Again, from alloy springs steels such as Chrome Vanadium and Nickel Chrome Molybdenum or more specialist alloys where requested. Bars can be used direct from the steel mills in standard mm increments or for non-standard sizes the bars can be peeled or centreless ground to any size within a 0.05mm tolerance. Ground bar is often insisted on for some applications such as railway suspension springs or valve springs for the oil & gas industry. For railway bogie suspension springs in particular we also have the ability to taper forge bars prior to coiling. Our in house shot-peening and coating facility ensures all springs have the best possible surface finish for enhanced fatigue life performance.